The most important news this week is this weekend's change in Daylight Saving Time, particularly in Canada and the US, where the time change comes 3 weeks earlier than usual. Digital watches, televisions, VCRs, and many other electronics that have reliably switched to and from DST in the past won't make the change this weekend. However, your Mac can. Any Mac running OS X 10.3 or 10.4 with the latest software updates installed will ride out the time change with no problems. This also applies to Classic mode when used with these versions of OS X. The University of New Hampshire has released a software fix for Mac OS X 10.0 through 10.3, and Apple has released a Knowledge Base article that explains how to handle the change in OS X 10.0 through 10.4 as well as Mac OS 9.2.2 and earlier. In other news, Samsung has begun shipping the first hybrid hard drives, which include a 128 MB or 256 MB Flash RAM cache. This should improve boot and wake-up times and greatly reduce the amount of time a notebook drive spends spinning and drawing power, which should significantly reduce battery drain. Mac OS X Daylight Saving Time Software Fix updates Macs running Mac OS X 10.0, 10.1, 10.2, and 10.3 to properly recognize the daylight saving time switch, moved up in March 2007. Download "DST_Update.mpkg.zip" and the Installer will automatically start the update process. Select your Startup Disk - usually "Macintosh HD". Click on the Install button on the lower right side of the window. You will need to type in your password to authenticate the installation. If the authentication fails, please try again and/or contact the person(s) responsible for your Macintosh. The Installer will notify you that you will need to RESTART after it is finished. When the Installer is finished, you should click the RESTART button. Your DST Software Fix is complete! This is the first and likely final version of this software as it fixes the Daylight Savings Time issues in all versions of Mac OS X 10.3.9 and lower versions which were previously unfixable. System requirements: Mac OS X 10.0, 10.1, 10.2, or 10.3 only. "In 2007, several countries and regions will change the dates on which they observe Daylight Saving Time (DST). In the United States, all states except Arizona and Hawaii will begin observing Daylight Saving Time on March 11. Many provinces in Canada will also adjust their DST observance, as will some states and provinces in other countries. Daylight Saving Time observances vary between countries and regions and are subject to change by national and provincial governments. "That's right, the 2007 time zone and Daylight Saving Time rule changes for the United States and most of Canada are already available in Mac OS X 10.4.5 (released February, 2006) or later. However, some additional regions that recently adopted time zone and DST changes are available in the February, 2007 Daylight Saving Time Update, detailed below. "Apple is providing software updates for Mac OS X 10.3, 10.4 and later based on worldwide time zone information available as of January 8, 2007. To make sure that your clock maintains the proper time, simply install the updates that are shown for your computer in Software Update. You should install these updates even if your computer is used in a time zone that is not affected. For more details about the available updates, or if you have an earlier Mac OS version, see below. "The 2007 time zone and Daylight Saving Time rule changes for the United States and most of Canada are already available in Mac OS X 10.4.5 or later. "Some additional regions that recently adopted time zone and DST changes are available in the February, 2007 Daylight Saving Time Update. This includes rule changes (as of January, 2007) for Australia, Brazil, the province of Alberta, Canada and several other regions. "If you've not already done so, install Mac OS X Tiger 10.4.8 and the Daylight Saving Time Update. "All time zone and Daylight Saving Time changes described above, as of January 2007, are included in the Daylight Saving Time Update, released in February, 2007. If you've not already done so, install Mac OS X Panther 10.3.9 and the Daylight Saving Time Update. For more information about this update, see this article. "If you're still using Mac OS X 10.2.8 or earlier, you can adjust your clock manually using Date & Time preferences. Deselect the option to set date and time automatically, then set the time for your local time zone as needed. "Still using Mac OS 9.2? Use the Date and Time control panel to deselect the option to observe Daylight Saving Time changes automatically, then enable Daylight Saving Time manually. Applications that run in the Classic environment of Mac OS X will honor the Daylight Saving Time setting in Mac OS X. "Applications that run in Classic will honor the Daylight Saving Time setting in Mac OS X." "Looking to put to rest one of the most bizarre vulnerability disclosure disputes in recent memory, hacker David Maynor offered an apology for mistakes made, provided a live demo of the controversial MacBook Wi-Fi takeover and promised to release email exchanges, crash/panic logs and exploit code to clear his tarnished name. "Maynor kicked off a presentation at the Black Hat DC 2007 with a demo of the attack against a MacBook running Mac OS X 10.4.6, proving that he was able to crash the machine via a device driver flaw in Apple's AirPort Atheros." "Talk about a contrast in strategies. Apple's iPods are the best MP3s in the business, bar none. The company's left nothing to chance and virtually nothing to want for, as a result their iPods sell like hotcakes to lumberjacks on a cold winter's morn. But good golly Miss Molly, when it comes to options for their MacBooks - which are like maple syrup and country fresh butter to pancakes, making them utterly irresistible - compared to Alienware's amazing banquet of optional enhancements, Apple's slim pick'ns look like those being offered by a money-strapped, startup company, with Mister Magoo heading up the MacBook department. "Hello Apple! Where's the choice in performance hardware that will transform MacBooks, most especially MacBook Pros, into every customer's dream machine? Nowhere, that's where. The inescapable fact is, compared to the abundant cornucopia of power options being offered for Alienware's laptops, Apple's scant selection is reminiscent of the The Emperor's New Clothes . . . uninspiring to say the least, as there are virtually none to be seen, making for a sufficiently curious puzzler that's both piqued the interest as well as raised the ire of many a Mac fan, if not the eyebrow of Star Trek's imperturbable Mr. Spock. Eh Leonard?" "Glossy screens produce an image that's generally regarded as 'richer.'" "Matte screens tend to handle glare better...."
"On Saturday I journeyed to the Apple Store to find out what precisely was the deal with the marks on my MacBook battery that I discovered while preparing to upgrade the RAM. The Genius on hand said that he'd seen this on a lot of MacBooks, and that he thought it was something in the manufacturing process. When I mentioned my theory about the the MacBook being reassembled slightly off, he agreed that the keyboard was slightly curved, and offered to have it checked in and looked at more closely, though he didn't think it was related to the battery problem; he said that it had probably just been put together a little too tight." "This supersized MacBook Pro is not for wimps - or wimpy wallets. "If you like big stuff, you'll love the 17-inch MacBook Pro. "While the 17-inch MacBook Pro was in our care, it became affectionately known as 'the cafeteria tray.' No, there's no relation between sloppy joes and Apple's high-end notebook. It's just that the size and shape of this MacBook Pro reminds us a lot of the dimensions of a typical cafeteria tray - although using it like one wasn't part of our battery of tests. We love the 17-inch MacBook Pro in all its supersized glory. "The novelty of 17-inch notebooks has worn off, since you've probably spotted a few extra-large models at your local coffee shop or on the boss's desk. 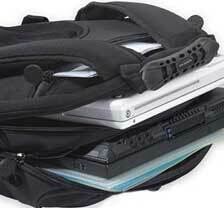 But because of its size, toting around a 17-inch MacBook Pro is a serious commitment. It won't fit in your usual notebook bag or backpack, it can easily take up all of your table space at Starbucks, and it weighs nearly 7 pounds. But even with all these considerations, the willing and able will enjoy the 17-inch MacBook Pro when out and about. For most people, except the very weak-shouldered, this laptop is a desktop replacement that you can take with you." "iBook G4, PowerBook G4, MacBook and MacBook Pro (both 15-inch and 17-inch) computers come with several different types of optical disc drives, including CD-RW, DVD-ROM, DVD-ROM/CD-RW 'Combo drives', and DVD-R/CD-RW 'SuperDrives'. All of the iBook G4, PowerBook G4, MacBook and MacBook Pro drives are called slot-loading drives, which means the disc is drawn directly into the computer rather than being put on a tray that is pulled into the computer. "Always be sure to check your disc to make sure it is flat. You can check this by putting the disc upside-down on a flat surface. If the disc is bowed up on any side or in the center, do not use the disc as it may get stuck in the drive. Also, while the disc is upside down, check to make sure the center hole is smooth and burr free, as this can cause the disc to get stuck and not eject from the drive. "Always check to make sure your computer has the latest firmware updates installed. You can find the latest updates from the Apple Support Downloads page. If you try to install a firmware update that has already been installed or that is not meant for your computer model, the installer will notify you and halt the installation. "Below are several possible symptoms you may see. Follow the steps for the appropriate symptom to figure out whether the issue stems from the drive or the media. The drive is noisy, vibrates, or scratches media"
PR: Samsung Electronics Ltd has announced the shipment of its hybrid hard drive to the commercial marketplace. Samsung's MH80 Series hybrid hard drive is offered in 80 GB, 120 GB and 160 GB capacities. Samsung is a leader in hybrid hard drive technology and is one of the first companies to offer a commercially available unit. The MH80 hybrid hard drive is currently shipping to select OEM customers and will soon be available in retail and commercial outlets. Optimized to work in conjunction with Windows Vista capable notebook PCs, Samsung's MH80 is a 2.5" hybrid hard drive with 128 or 256 megabytes of flash memory. It combines a hard disk drive with a OneNAND Flash cache and Microsoft's ReadyDrive software, offering faster boot and resume times, increased battery life and greater reliability compared to traditional magnetic media technology. "As a leader in both hard drive and flash memory technologies, Samsung brings to market a unique hybrid hard drive that is sure to revolutionize the notebook computing experience," Albert Kim, national sales manager, Storage Systems for Samsung Semiconductor, Inc. "The MH80 hybrid hard drive provides the ideal solution for two major issues that notebook PC users continually face: faster boot and resume performance and extended battery life." The MH80 hybrid hard drive preserves the high densities of magnetic storage technology, while the advanced NAND flash technology enhances the overall value with lowered power consumption, higher reliability and faster read/write access than traditional hard drives. The MH80 features Samsung's ReadyBoot technology that offers up to a 50% reduction in boot and resume times from traditional magnetic media technology. In addition, the drive consumes 70-90% less power than a traditional hard drive, which extends the battery life by 30 minutes before a recharge is needed. The MH80 also offers up to five times the reliability of traditional notebook PC hard drives. As the drive's platters are idle 99% of the time, the MH80 eliminates the need for the hard disk to constantly spin whenever a computer is operating on battery power. As a result, the drive is much less susceptible to shock damage, resulting in less data loss and fewer needed repairs. Furthermore, the drive operates at a lower temperature than a regular hard drive, reducing the likelihood of damage and hard drive failure. PR: Fujitsu Computer Products of America, Inc.has announced the global launch of its MHW2160BJ series mobile hard disk drives (HDDs). The newest Fujitsu products feature impressive storage capacities of up to 160 GB1 and industry leading performance with 7200 rpm speed. This is also the 3rd product family Fujitsu has developed using perpendicular magnetic recording (PMR). The MHW2160BJ series attains the industry's highest capacity points while utilizing an industry first SATA 3.0Gb/sec interface on a 2.5" HDD. The MHW2160BJ series will begin shipping in second quarter 2007. With the introduction of the 7200 rpm product, Fujitsu now offers a comprehensive portfolio of notebook hard disk drives featuring capacity points up to 300 GB and spindle speeds from 4200 rpm to 7200 rpm. Engineered using PMR technology, the new mobile HDDs will address the growing demand for higher performance and higher capacity laptop storage solutions. Laptop PCs continue to overtake desktop sales and market share, and high-performance mobile hard disk drives are required to help run graphic intensive applications and the increasing capacity of audio and video files. "Fujitsu has positioned itself well to capitalize on the growing demand for higher performance 7200 rpm laptop hard disk drives that replace the functionality found traditionally on desktop PCs," said Joel Hagberg, vice president, marketing and business development, Fujitsu Computer Products of America, Inc."Since we exited the desktop hard disk drive market in August 2001, we have focused on building desktop functionality and performance into rugged mobile products that serve the changing professional and consumer markets." Fujitsu has been an industry leader in the research and development of PMR technology to support capacity expansion. Valuing the reputation for high quality that Fujitsu HDDs have earned to date, the company has successfully developed perpendicular hard disk drives that maintain the same high quality standards and going forward, plans to steadily expand and enhance its lineup of high performance, large-capacity PMR products. Buffer to Host Transfer Rate: 300 MB/sec max. Read/Write Seek Time: 10.5/12.5 ms typ. Idle Power Consumption: 0.8 W typ. Acoustic (Idle): 2.5 bels typ. "Updated Lenovo is recalling more than 200,000 Thinkpad batteries after some caught fire when owners dropped their laptops. "The firm alerted America's Consumer Product Safety Commission (CPSC) when it got four reports of notebooks catching fire, following a forceful impact to the corner. One owner suffered 'minor eye irritation' as a result, the CPSC said today." PR: New batteries can give aging notebook computers a refreshed life with longer run times and enhanced performance. In the United States today, there are more than 60 million notebook computers with batteries getting very close to the end of their lifespan. Now FreshBattery is pleased to introduce its new reliable online source for built-to-order laptop batteries, offering healthy, long-life lithium ion batteries at competitive prices. With the life expectancy of a notebook battery averaging 1 to 3 years depending on usage, and some 60 million laptops sold in the United States from 2004 - 2006(a), the need for replacement batteries for popular computer models has reached a high point, particularly as some of these OEM batteries are no longer available from the original manufacturer. "A brand new and healthy replacement battery is sometimes all that is needed to rejuvenate an old laptop and boost performance," said Bob Schaffer, FreshBattery VP of business development. "Our goal is to offer the highest quality batteries at the best value, and at the same time provide a trustworthy online knowledge base dedicated to battery care and handling." FreshBattery guarantees each battery will be brand new, built-to-order and never refurbished. To support this promise, each FreshBattery is stamped with a "Born On" date to ensure freshness. These high-performance lightweight batteries are always fresh and always tested in the United States to provide maximum runtime and a longer battery life. "We guarantee our batteries have not been sitting on a shelf for months," said Schafer. "Not all batteries are the same. Always tested and always fresh, a FreshBattery is custom-built using the most advanced lithium ion cell technology. With our batteries, notebook users will have the freedom to enjoy working wirelessly for hours." The FreshBattery online store, at www.freshbattery.com , offers a one-stop source for popular models including Apple, Acer, Dell, Fujitsu, Gateway, HP-Compaq, IBM-Lenovo, Sony, Panasonic and Toshiba. The site is user-friendly and provides multiple search tools to ensure each customer can quickly locate the correct battery to fit his or her computer model. In addition, FreshBattery is a reliable Internet knowledge base for the mobile professional, on-the-go student or even a casual user seeking information on battery maintenance, optimizing performance, recycling options and customer support. FreshBattery is a global citizens company that works to ensure fair living conditions and wages for the individuals manufacturing its batteries. In addition, FreshBattery recognizes the importance of recycling and has partnered with the Rechargeable Battery Recycling Corporation (RBRC) to demonstrate to consumers how simple it is to contribute to a clean and healthy environment. "FreshBattery is more than just a notebook battery supplier. We are a company that is committed to improving the lives of others," Schaffer said. "This site is for the mobile computer user not only interested in finding the best notebook batteries available, but for those who seek information on how to care for the battery and dispose of it the most environmentally friendly way possible." FreshBattery also values the lives of those in need and has partnered with Share Our Strength (SOS) by donating $1 of every battery sold to a national charity that feeds children. Today, SOS's priority is to end childhood hunger in America ensuring that the nearly 14 million American children facing hunger have access to the nutritious food they need to learn, grow and thrive. A reliable online source for built-to-order notebook computer batteries, FreshBattery offers healthy, long-life lithium ion batteries at competitive prices. FreshBattery guarantees each battery will be brand new, built-to-order and never refurbished. FreshBattery is headquartered in Irvine, Calif.
PR: QuickerTek has just announced the availability of 802.11n wireless upgrade cards for MacBook and MacBook Pro models and Intel iMacs. Users can choose to buy the card and install it themselves for $149 or send their computer to QuickerTek to have the card installed for only $199. The latest 802.11n wireless network gear just announced by Apple has left many users lagging in wireless performance options. This new upgrade for QuickerTek customers allows MacBook and iMac users to stay current with the benefits of the fastest wireless. These wireless networking cards are made to the same specifications as the Apple factory cards and install into the AirPort card slot. They work with all 802.11/b/g/n WiFi equipment including Apple AirPort, AirPort Extreme and the latest 802.11n version of AirPort Extreme introduced at Macworld Expo. The user-installed upgrade option includes the 802.11n upgrade card, tools and illustrated installation manual - everything needed to complete the upgrade at home. The installation upgrade service is available using any shipping option the customer chooses with shipping and handling charges added to the $199 product cost. The nice part about this option is it allows the customer to pay for the exact shipping speed and company they prefer. Since this wireless upgrade uses standard parts, no drivers or other changes need to be made, nor are additional steps required to use the higher speed 'N' upgrade. Like most QuickerTek products, the 802.11n wireless upgrade card itself is backed with a one-year warranty on parts and labor. PR: So you're catching up on a little work at your favorite outdoor café, enjoying the scents of summer. Like the mouthwatering aroma of freshly-grilled burgers. The bracing scent of newly-cut grass. But your nose twitches as the smoky odor of overheating electronics reaches it. Then your trusty laptop locks up, leaving you thoroughly in the lurch. You see, heat is your laptop's most dangerous enemy. Overheating laptops are a bigger problem than most people realize, as heat reduces system stability and harms the lifespan of your electronics. To combat this problem, you need the Antec Notebook Cooler! 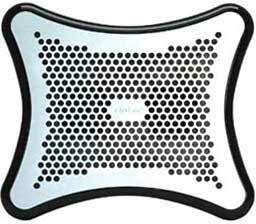 Increasing the cooling your laptop gets can help it last longer, and may reduce or even eliminate system crashes. PR: MoGo MouseBT is a business-card sized, Bluetooth-enabled mouse that stores and recharges neatly inside - that's right, inside - your laptop computer's PC Card slot when it's not being used. MoGo MouseBT is a technologically advanced wonder, featuring patent-pending optics and a system that automatically levers the mouse up into your hand as you work. With no batteries to replace, the MoGo MouseBT recharges in less than an hour in the PC Card slot of your laptop. MoGo MouseBT is specifically designed for road warriors who hate carrying around full-sized, bulky mice, but who also despise laptop trackpads and trackpoints. MoGoMouseBT provides them with a solution to their problem, making it easier for them to work on the road. Other mice, even those meant for road warriors, just don't cut it. Mini-mice (the "walnut shells") get lost in your hand and are difficult to manoeuvre, and the ideas of carrying a full-sized mouse defeats the entire purpose of mobility on the go, making MoGo MouseBT a natural. PR: Sonnet Technologies announces the immediate availability of the Sonnet 2fit Laptop Sleeve plus Screen Protector for MacBook and MacBook Pro computers. Apple notebook computers are as beautiful as they are powerful, but their finish is far from bulletproof. Even so, many owners choose convenience over protection - MacBook, MaBook Pro, and PowerBook G4 notebooks often travel in a backpack or briefcase sharing space with an iPod®, phone, keys, and pens - leaving their pricey cargo vulnerable to scuffs and scratches. Choose convenience and protection - get 2fit. Stylish and practical, the Sonnet 2fit sleeve is a form-fitting cover that provides a durable layer of protection that helps prevent damage to your computer's finish. Stylish and practical, the Sonnet 2fit sleeve is a form-fitting cover for Apple notebook computers that helps prevent damage to the computer's finish. The 2fit sleeve feels marvelous, meanwhile providing a durable layer of protection for notebooks stowed together with pens, keys, and iPods® in backpacks or briefcases. Each 2fit sleeve is constructed of plush microfiber material, custom-tailored for specific MacBook Pro and MacBook models. The machine-washable sleeve stretches to provide a snug fit. 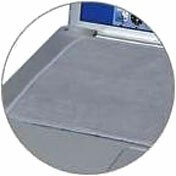 When not in use as a cover, the 2fit sleeve can function as a heat shield between laptop and lap. The 2fit screen protector buffers the screen from keyboard rubs during transport. Made of the finest-quality optical cloth, it is also perfect for cleaning the MacBook display. Enjoy a perfect fit in notebook protection wherever you store your MacBook-secure it with 2fit! Each 2fit sleeve is constructed of plush microfiber material, custom-tailored for specific MacBook Pro and MacBook models. This machine-washable sleeve stretches to provide a snug fit, and it even can function as a heat shield between laptop and lap when not in use as a cover. The 2fit screen protector buffers the screen from keyboard rubs during transport. Made of the finest-quality optical cloth, it is also perfect for cleaning the MacBook display. Enjoy a perfect fit in notebook protection wherever you store your MacBook - secure it with 2fit! 2fit will be available March 6, 2007 for the suggested retail price of USD $29.95. PR: More than just a plain-Jane sleeve, but still sleek and slim. The new Dart has a large, expanding compartment that holds your power supply and other cords. 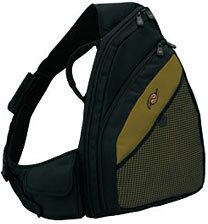 Padded main compartment holds your laptop snugly and securely. External pocket (under Spire label in photo) offers quick access to cell phone and other small items. Rear pocket holds papers and magazines. Available in 4 sizes, perfect for widescreens. Dart 13: 13.0" x 9.50" x 1.25" Dart 14 12.5" x 10.5" x 1.5"
Dart 15: 14.5" x 10.25" x 1.25"
Dart 17: 15.5" x 11.25" x 1.25"
PR: Slappa has announced it has launched a new version of its very popular Velocity Spyder Laptop BackPack. The V2 Spyder was re-engineered to better meet the demands of Road Warriors, while also incorporating more advanced features and qualities into the bag. X-dense Internal Padding) Dedicated inner laptop sleeve, cush-pad accommodates laptops with 17" screens Cush-pad Padded, Comfort -collar backpack straps tested to 50 lbs. "Our new V2 Velocity Spyder Backpacksí went into development as soon as customers started feeding us ideas on how to improve the original Spyder backpacks" says Slappa Product Development Manager Bartho Sui. ìWe love working together with our customers to engineer the ultimate gear, and this new V2 Velocity Spyder features exactly what people asked us for; 17" laptop capability, more protective padding, and a strap system that provides toughness and comfort." 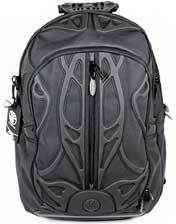 The new V2 Velocity Spyder Laptop BackPack with Xtreme Padded Comfort Collar straps tested to handle 50 lbs. 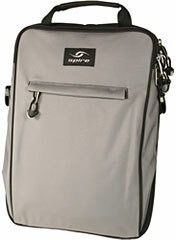 The new V2 Velocity Spyder Backpacks sell for $99.00 and will be made available at most all authorized Slappa resellers. PR: Everki, innovators of mobile lifestyle products designed for a life of motion, today announces their latest in lightweight solutions, the stylish Fling Light Sling Pack. The Fling sling pack is the ideal solution for MacBook users on the go, featuring a protective computer nest for 13" notebooks, a digital media player cache, an easy access mesh stash slot, and a durable nylon covering in three hip colors: blue, white, and flax. The Fling sling pack is a perfect fit for any ultra-lightweight MacBook. The revolutionary ergonomic design of the bag maximizes everyone's usability, whether you're a student trying to catch your next class across campus, or an on-the-go business professional looking for a way to organize all of your essentials. The bag fits right into the small of your back so it almost feels as if you're not even wearing it. The chic and smart Fling moves with you effortlessly throughout every step of your active day. "The reason people buy small notebooks is to avoid carrying around heavy equipment," said Kevin Luong, CEO of Everki. "The Fling fits everything you need without any wasted bulk. It glides with you wherever your day may lead and is the only high-performance bag on the market that was specifically designed for the mobile lifestyle." The Fling boasts ten pockets to keep life's essentials in check without weighing you down and allows for quick, mobile access. It's sleek, compact design and featherlike mobility, is unparalleled, making it the ultimate bag for the most active lifestyles. 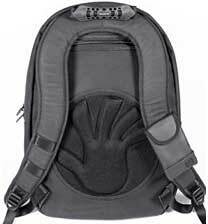 If you're looking for a bag to hold your laptop and its accessories, the Everki Fling will not disappoint. It retails for US$39.99/C$59.99/£49.78. Still relatively slim MacBook Pro pickings: 17" Core Duo MacBook Pros starting at $1,999. Fewer MacBook models available.